In late 2017, I was able to attend Inbound 2017 with two of my co-workers. For those who have never heard about it, Inbound is a 3-day conference hosted by Inbound Marketing Software company HubSpot and focuses on everything inbound marketing. This was actually my second time going, and while I learned a lot from all the various sessions and keynotes, there was one thing really stuck out and left a big impression in how I wanted to adjust my companies' marketing strategy. It's called Unicorn Marketing, and I was introduced to it by Larry Kim. While other people have talked about it all over the interwebs, Larry seems to be the big Unicorn evangelist, which can look pretty weird at times. Knowing this, all of these articles (and video) were created by Larry Kim, so it doesn't really take into account a wide array of perspectives. So, take that as you will. In this week's article, I am focusing on 5 articles and videos that explain how to find your unicorn content and leverage it in your marketing strategies. My 6th resource is actually about pillar pages, and I am referencing it because it's another way to leverage your unicorn content. In case this isn't clear, your unicorn content is your most popular content, while all your poorly performing content (most likely a majority of everything you make) is a donkey. Since this is more like an online lecture than it is an article, the format for this section will look a little different than the other sections. For this piece, I'll just be showing the notes I took based on what I learned from the video, while trying to give as much context as possible. What's a Good Engagement Rate? When it comes to your content, you want to find and promote your unicorn pieces. While there's no checkbox you need to keep on hand to find out what your unicorn pieces are, you'll usually know them when you see them. Why? Because they'll be the source of over 90% of your marketing value. Your unicorn content is your top 1-3% of ALL your marketing campaigns because as hard as this is to hear, most of your marketing efforts aren't going to be stellar performers and drive any sort of substantial traffic or conversions. In Wordstream's case, they found that 50 of their blog posts generated just as much traffic as 1000 of their other posts. While you may be thinking "duh, of course, some posts perform better than others. That's nothing new!" Well, to that I would say thanks, Captain Obvious. 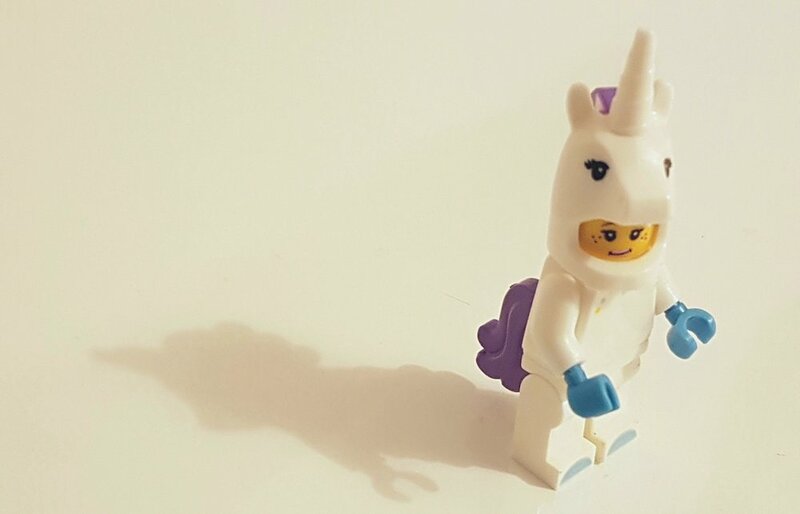 Unicorn marketing isn't trying to help you find all your amazingly performing pieces, it's about what to do with them once you know that they're unicorns. Unicorn content is everywhere, and everyone has some. They can be emails, ads, blogs, landing pages, videos, webinars, etc. as long as they have awesome metrics (CTR, views, submissions, etc.). Finding it usually isn't an issue since many people are on various CRM's that allow them to track engagement. Google likes engagement. Google likes when you get engagement. Google rewards you when your content gets engagement. You need to make sure your aiming for high organic engagement. Easier said than done, I know. It's as easy as finding all those poorly performing blog posts (donkeys) and make sure you don't do those anymore. Look into your amazing posts (unicorns) and try making more posts like those. Be an intent marketer, catering your marketing strategy to addressing user intent. Throwing money into ads and hoping to get ranked higher is simply a waste of money. Google wants to reward helpful and relevant ads, not ones that just give them tons of money (at least that's what I like to believe). Having highly ranked ads not only gets better placement, but it's also cheaper. Also, to get that engagement, make sure you hit on one of four basic emotions: anger, disgust, affirmation, or fear. While you might have heard about or even done A/B testing, it's not as great as you probably think. While yes, changing the CTA text with more actionable words or adjusting the color could result in higher clicks, it won't matter if the core content is weak. Don't get me wrong, A/B testing is still totally worth doing. Just make sure you realize that it's not a strategy to make contacts stick and come back for more. Not only is it harder to get noticed in the ever-growing sea of content, but when Facebook said that they're going to start showing less content from brands and companies, your chances of getting noticed just dropped even more. Turns out, promoting your content on social media is a little more complicated than just creating content, advertising it, and then laughing your way to the bank (shocking, I know). Instead, promote and remarket your stellar content to custom audiences so you can improve your quality score and start getting all the clicks. Remarketing lists for search ads (RLSA's) are basically a way for you to target people with search ads who have visited your site (that has a remarketing tag on it). Think of it this way: You have two types of people. One that is familiar with your brand, and one that isn't. Obviously, the first type is a much smaller pool than the second. So, while you get to target people familiar with your brand, it's greatly reduced. One way to get RLSA to work for you is to use social ads to increase the size of the pool of people familiar with your brand. Then, you can use RLSA more effectively since you just massively increased the number of people you can target, and save a lot of money in the process. As we've all learned, Facebook just decimated your organic reach. If you want to give up altogether, then that's your prerogative. But if you want to get back up and keep working at it, here's what you can do. First, use preferred audience targeting to match your posts with people who are actually interested in them. This should be obvious to everyone by now but showing content to people who are actually interested in it produces higher interactions and clicks, which helps your overall rank. And as we've heard 8 billion times now, use video content to generate higher engagement and boost your organic reach. Also, find those well performing organic posts and boost them. Don't waste your money boosting everything though, just the ones that have decent engagement. Larry has a Unicorn Detector Pyramid Scheme that you can use to find your unicorn ads and make them your champions. Have you ever used your competitors' brand against them? Or let me put it another way: Have you ever used your competitor's brand to your own advantage? If not, it's definitely worth trying and can be pretty simple. These simple ways are great next steps you can take if you want to take advantage of your competition since they'll be doing a lot of nurturing of people who are obviously interested in a similar product or service. You just need to sneak your way in and make the sell. Unless you're already a celebrity or influencer, you don't normally start with a following or any sort of clout. You have to build your way up in the industry, proving that you have thought leadership and have something valuable to give people. Target specific people at specific companies. The idea isn't to make a sell but to raise brand awareness with relevant people (those with a marketing job title for example). The classic - write or republish a unicorn post for a site like Medium or have some influencer repost/retweet it. If you're like me, then you probably haven't even heard of LinkedIn Pulse even though its been out for 7+ years. In essence, it's just another place for you to create thought-leadership content and share it with the professional world. One warning though, don't treat it like your own blog. It's a little different and your strategy will need to be slightly adapted. And as always, people like memes. Sure it might not look as professional, but it can lead to some great engagement. Medium is a great way to get your content seen on more than just your own blog. It broadens your audience and can lead to some serious increase in thought-leadership or conversions. Aim for 200 claps (or whatever they use for that post) on the first day. Once you publish your post, get some Facebook and Twitter ads running for it (make sure to target people who have Medium accounts too). When it comes to Facebook ads, the more engaged your ad, the lower the CPC. So, how do you get this win-win situation where you're getting high engagements for low costs? First, let's take a look at how most people approach Facebook marketing. Let's say that you are a marketing agency for Higher Ed. When you create your Facebook ads, you'll probably try to target people working in the higher ed space and have some sort of middle management job title. While this gets you a specific and relevant pool of people, it could be too small or your product or your service just might not be worthy enough to click on. Larry, continuing with his obsession with unicorns, has come up with a new strategy that you could use. It is appropriately called the inverted unicorn method. The idea itself is actually extremely basic and might not even make sense at first. Essentially, you want to target people with two completely non-related interests. For example, going back to the marketing agency for higher ed, your Facebook ad would now target everyone who is interested in This is Us and works in the higher ed sector. Then, target them with a blog post about how institutions can recover after public outcry or brand blemish using marketing (looking at you Crock-Pot). Might not be the best example, but you get the idea. The result (theoretically): an ad that gets a ton of interactions, views, and a high relevance score. So, in essence, the whole method is to make ads more interesting by targeting two (or more) interests of users and grabbing their attention. No one wants to see another ad that says click here or learn more and is just another stock photo or is just another piece of content you put out. In this pillar post, Larry delves into the secrets behind ads that have awesome (think 3x higher than normal) click-through rates. Also, note that this is specifically data and strategies for Google AdWords, though many of these techniques can work in various channels. If you've ever searched Google for "what is a good click-through rate" you'll find a slew of articles telling you about what the average CTR is across industries. But here's the danger - an average CTR isn't good, its average. So how can we achieve a good (or even unicorn-level) CTR? Well, let's start with this. Averages are great. They help you find a place to start. But they should never be where you stop. So, when your ads are getting average CTRs (let's say 3%), don't just wash your hands and be done with it. When it comes to finding whether you've achieved Unicorn status, look for ads that have 6x higher CTRs than average. The actual number will vary on the industry, but after taking a good look at your ad's data, you'll quickly see what's performing well and what's pretty junky. Google AdWords is an auction house (similar to eBay). Google is actively updating the rank of each ad that they show, but how they do that is actually straightforward. Your key metric is your Ad Rank, which is calculated based on your CPC bid and Quality Score (QS). Even if you're willing to place a really high CPC, it won't matter to Google since that doesn't translate into actual clicks and they won't get any money. So, Quality Score is extremely important and throwing money at the problem won't make it go away. While saying that your QS and CTR are closely related (the higher the CTR, the higher the QS) is a good start, it's actually a little more complicated than that. The key to really have a great QS is to have both a high CTR AND having ads above the expected average. Do that, and you'll start winning the AdWords game. Your keyword strategy will focus on three types of keywords: commercial, branded, and local. What your strategy shouldn't include are keywords for information, like "population size of America" or "what state is Austin in?" since these are questions from people looking for a quick answer and have no intention of buying anything. One note about Dynamic Keyword Insertion (DKI): it's helpful, but only in the beginning. DKI is basically an option where you allow Google to substitute certain words in your ad based on what they're searching for. DKI helps you achieve decent CTR early on, but won't necessarily get you to unicorn status. Like DKI, ad extensions are a way to give your CTR a slight bump but are no means a way to fix a bad ad. Also, since your targeting humans, your ads need to incite emotion to do well. Not only are we emotional creatures, but everyone is bound to see tons of boring ads that just blur together. If you create an ad that invokes anger or curiosity, then your chances of getting clicks dramatically increase. "Your ad copy has to resonate on an emotional level and it must be different to stand out." Without hitting an emotional string, your ad will start off on a weak foot. In order to find quality, you need to have quantity. Running a handful of ads isn't going to give you enough of a sample size to really find a true unicorn. To even find one unicorn ad, you should run at least 100 others. The more you run, the more likely you're going to find that magical horse. As mentioned above, you need to run lots of ads to find your best ones. And if you're in a small to medium-sized business, your bar is even lower. Meaning, if you run 40+ ads this year, you're doing better than your competition. Like most unicorn pieces, your top few percentage makes up for an overwhelming majority of your impressions. So, when ads are clearly underperforming, kill them off and focus on the ones doing well. When it comes to mobile ads, your key metric changes from CTR to call-rate. Wordstream research found that calls led to 3x higher conversion rates than CTR. How do you know when you create quality content? This might be a little hard to read, but just because you create something (after pouring hours of effort into it) doesn't mean that it is a quality piece. Unfortunately, you're not the one who decides what is high quality and what isn't. That job is given to your audience (not search engines, social platforms, or your boss). And don't fall into the trap or using a "Quality Content Checklist" where as long as you satisfy this many criteria you'll end up with an awesome piece. While there are elements that you can use to act as a solid foundation for your content, they shouldn't be used as the end all be all. How can we define quality content then? Well, it's a quality piece of content if it achieved a goal like driving traffic, increasing search ranking, high engagement, etc. It's all about performance, which sounds obvious, but people are biased and blind when it comes to their own content and how it performs. No one will know if a piece of content will perform well. They might have hints and good ideas based on previous topics, but nothing is guaranteed. Here's the thing: You need to be a unicorn in a world of donkeys. The issue is that there need to be a lot of donkeys for you to effectively find that unicorn. What this means is that you need to produce a lot of content knowing that most of them won't be amazing. What this doesn't mean is produce content just for the sake of producing content. You should be working on every piece with the intention of doing it well, just know that most won't. You're wasting your money when you promote content that doesn't connect with your audience. Instead, pour those resources into your unicorn content and become a unicorn marketer. Google is constantly updating its search algorithms. One thing that sprung from a big change has been something called a pillar page. HubSpot, a marketing software, has been pushing for pillar pages as a sort of SEO play and focuses less on actual conversions. The foundation of a pillar page is some sort of popular or relevant topic. That topic is then supported by a dozen or so blog posts, each related and linking to that main topic (which becomes a pillar page). By focusing on a topic format, you are basically telling Google that all these posts are going back to this main topic pillar page as the main source. So when people search for "Facebook Marketing" you've told Google that the place to learn about it is really this pillar page. The beauty of this strategy is that it's perfect for unicorn topics. Once you do all your ads and all your posts, look at what's performing super well (the unicorns). Then, make a topic cluster on that specific topic that is doing well, both turning it into a pillar page and maybe even using it as a supporting blog post. This way, you'll be making an SEO play on a topic that you've already had success on, increasing your thought leadership standing and SEO rank all at once. Unicorn marketing is all about finding your best performing ads, posts, pieces of content, etc. and promoting/repurposing the hell out of them. You know when you find a unicorn piece because it is driving 90% of your traffic/conversions and is outperforming its peers six-fold. But to find these unicorns, you need to make some donkeys. Meaning, to find the quality you need to have the quantity. Else, you won't have any sort of reasonable sample size that can give you reliable data. Then, when you find that unicorn piece, pour your resources into it. That can look like converting it into a different format, posting it on other publication sites, spending lots of money on ads for it, or creating a pillar page from it. When making ads though, make sure you focus on CTR, since that basically is how you achieve low CPCs and high relevancy scores.